The Xiaomi Mi Notebook Air is the companies first ever laptop. It’ll be available to purchase from August 2, 2016. This article will demonstrate the top highlights of the Xiaomi Notebook Air. Let’s see the top highlights the laptop. The Mi Notebook Air is feature full HD display with a resolution of 1920×1080 and 170-degree viewing angle. Mi Notebook Air 13.3-inch version powered by Intel ® Core ™ i5 processor with to 2.7GHz frequency and 12.5-inch version powered by Intel Core M3 processor. It Sports 1GB of NVIDIA GeForce 940MX graphic memory which is able to provide smooth graphic rendering. Mi Notebook Air 13.3-inch equipped with 8GB DDR4 RAM and 12.5-inch equipped with 4GB DDR3 RAM. In terms of storage, 13.3-inch version comes with 256GB PCIe SSD and the 12.5-inch version comes with 128GB SATA SSD. Both versions have external SSD slots. 13.3-inch version provides back-up for 9.5 hours and 12.5-inch version provides supports for 11.5 hours. The Mi Notebook Air supports Mi Cloud Sync. Phone contacts, text messages, photos, notes and other data will be synced automatically. 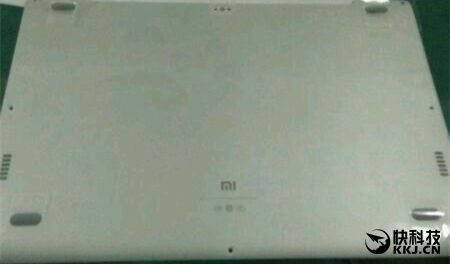 Mi Notebook Air can be unlocked with Mi Band 2. These are the top highlights of Xiaomi Mi Notebook Air. We’ll post more info and picture time to time. Keep visiting.